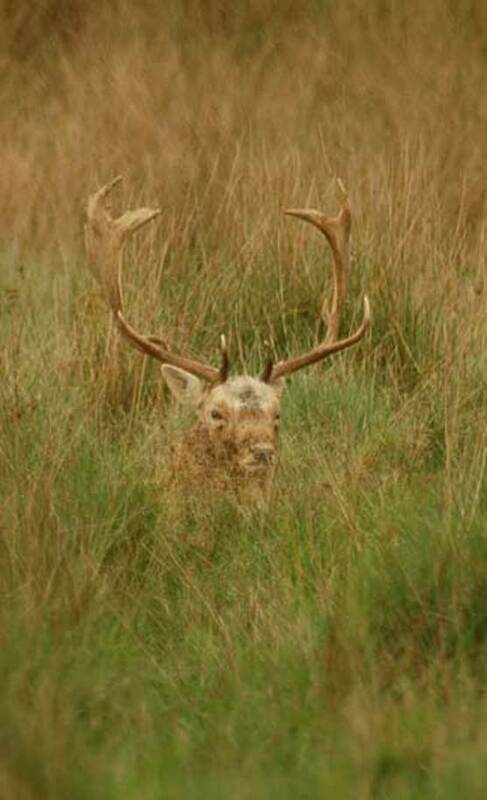 Fallow deer are herd animals, ascribing to the philosophy that many pairs of eyes and ears are the best defense, an approach that makes stealthy stalking a must.Widespread in England and Wales, there are even pockets of fallow as far north as Scotland. Brought to Britain by the Normans for food and fun in the 11th century, fallow rapidly populated the hunting forests where they are still dominant today. Intelligent and flighty, fallow are best stalked at dawn and dusk when they are on the move. 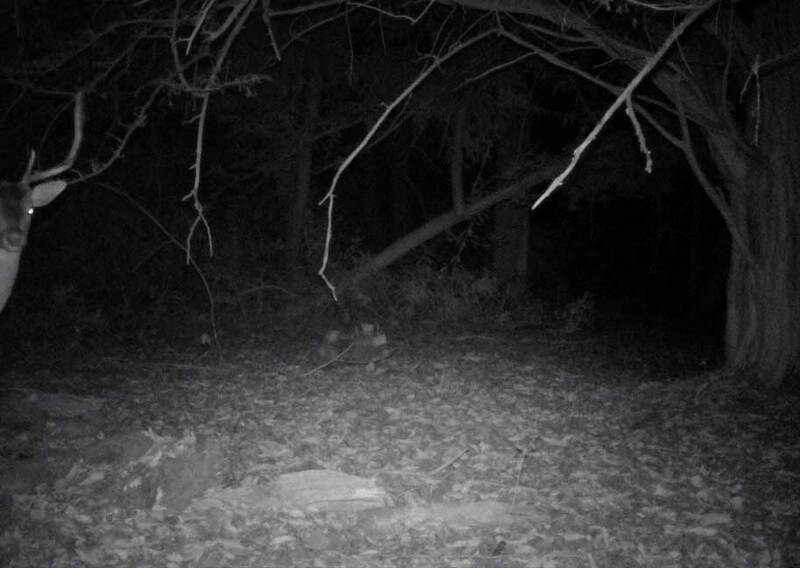 This tendency toward hyper-awareness, ability to associate a pattern with danger, and well-developed sense of self preservation can combine to produce a challenging stalk. A herd of watchful, suspicious eyes makes even the best camouflage transparent if it moves in a distinctly human way. Isolated herds of upwards of 50 individuals can be moved as one by a doe alarm barking. 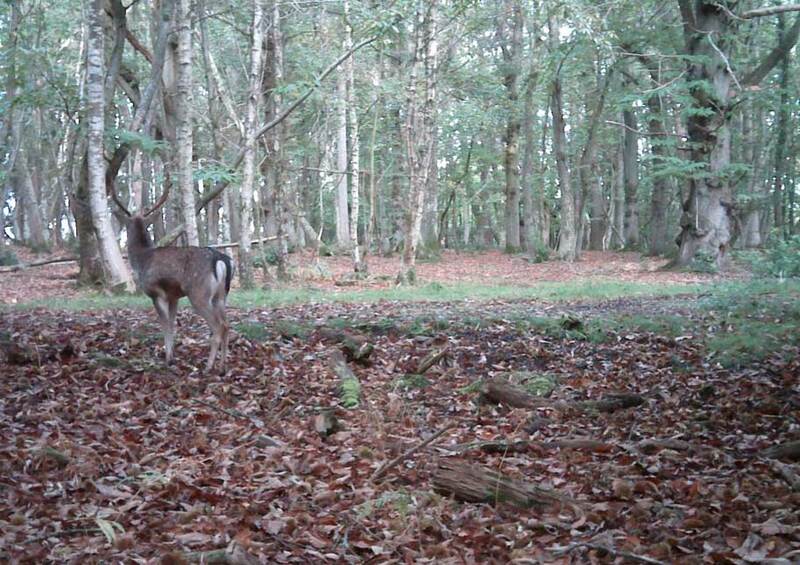 Creatures of habit, fallow bucks return to historic rutting stands to challenge each other. Travelling miles from summer ground, by October the bucks are fully established in rutting grounds, their deep guttural mating grunts intermingling with the clash of antlers as they challenge each other for the rights to a stand. Fallow bucks sport a set of distinctive palmate antlers are shed in winter after the rut, and regrow bigger and better each spring as the buck matures. Fallow are avid and largely indiscriminate herbivores, and un- checked can do enormous damage to arable crops and forest alike. 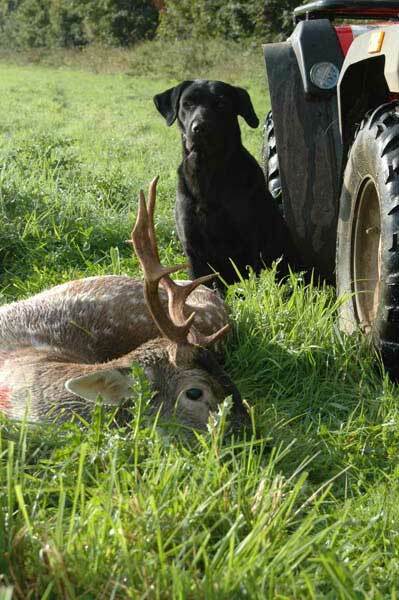 Stalking fallow can be undertaken both on foot and from a high seat. Therefore clothing should be suitable for prolonged spells of sitting still, but be layerable to also be comfortable on the move. Full camouflage is useful but not essential, dull neutral tones are essential to help you blend into your environment. Footwear dependant on time of year, but good strong boots or wellingtons, ideally one which you can feel the ground beneath your feet with. A pair of binoculars is always useful when stalking. Calibre restrictions in Scotland are that the bullet must weigh at least 100 grains, have muzzle velocity of 2450 fps or higher and a min muzzle energy of 1750 foot pounds. You will need a licence to bring a gun into the UK and Outside Days can arrange visitor’s permits for you or provide rental guns on your arrival. We require all our guests to have third party insurance, this can be obtained by membership to any of the British sporting organisations. It is standard practice to tip the stalker at the end of a day’s stalking. £20 is considered average but we believe the tip should also reflect how well you believe you have been looked after.